Department of Computer Science & Engineering, Baba Banda Singh Bahadur Engg. 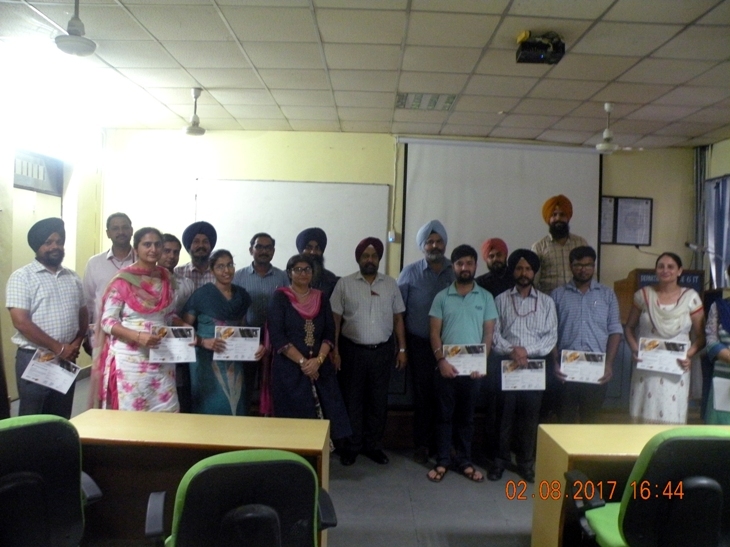 College, Fatehgarh sahib organized 1-day Faculty Development Program on “Autodesk software” on 2nd August, 2017. FDP highlighted the importance of the tools required for design. Mr. Manjeet Singh & Mr. Rajesh Kumar from Autodesk imparted the training of software & also explained the skills required for certification regarding the same. Dr. Kanwalvir Singh Dhindsa, Professor (CSE) coordinated this FDP. The hands-on practice was part of training for the in-demand Autodesk tool “FUSION 360”. Faculties from CSE, MECH, ECE, EE and Civil attended the FDP & certificates were awarded to the participants at the valediction ceremony. Dr. Baljit Singh Khehra, HoD(CSE) presented the token of gratitude to the company officials. Principal BBSBEC, Maj. Gen. (Dr.) GS Lamba presented ‘Vote of Thanks’ & assured of such FDP’s in future as it is boon for faculty to update their skills with latest and advanced tools such as Autodesk. 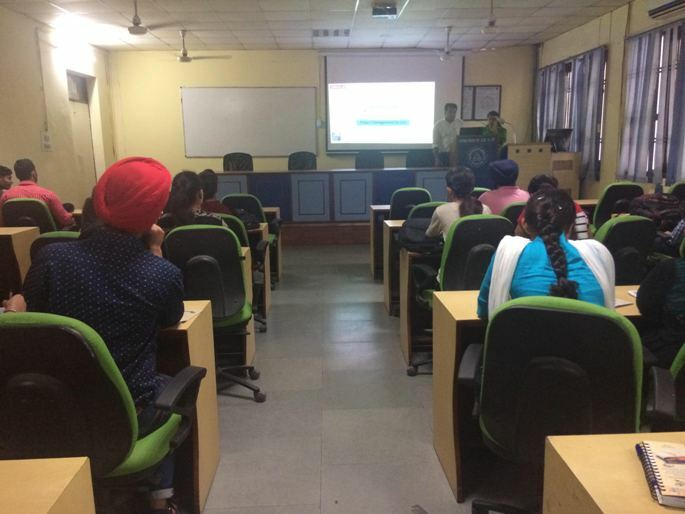 An Expert Talk on the topic‘Project Planning and Management using ORACLE PRIMAVERA Software ‘ was organized for the Department of CSE,Baba Banda Singh Bahadur Engineering College,Fatehgarh Sahib, students on August 2,2017.The program started with the address of Mr. Chirag Garg (Regional Business Development Manager – Synergy school of Business Skills, New Delhi). He made the students aware about the concept and need of the project management skills to complete any project within the deadline. He said that, with the increase in competition in the industry, it is important for all the competitors to keep on introducing new and improved products in the market. Such outcome is not possible without the help of project planning and management tools. Miss Vasudha Chaudhary also shared about the Project Planning and Management using ORACLE PRIMAVERA Software. In her address, she made the students aware about the various factors undertaken for the successful completion of the project like Project Planning, Risk Management, DSS, Breakdown of Complex Projects into smaller projects.Resource optimization is the key factor which is at the heart of corporate world. She also discussed about the various applications like FM, HRM, Production management, medical services which are successfully running in the market.The talk closed with the vote of thanks given by the Head of the Department Prof. Baljit Singh. Baba Banda Singh Bahadur Engineering College has conducted Expert Talk on “The Changing Face of Indian Society, Culture and Linguistics due to Computerization” on August 9, 2017. 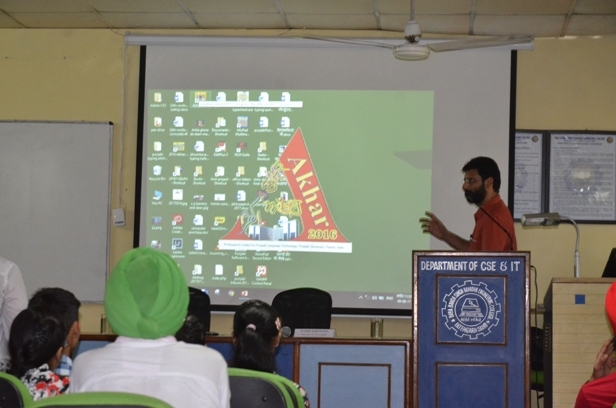 This program focused on the various issues like Natural Language Processing, Computerization of Punjabi Language, Pattern Recognition and Impact of social media on society. The Aim of the Program is to discuss newly developed softwares, related to various Indian Languages. Dr. Baljit SinghKhehra,Head, Department of Computer Science , Dr. K. V. S. Dhindsa and Dr. C. P. Kamboj (Resource Person) were present at the inauguration ceremony.Dr. Khehra welcomed guest and encouraged students to make the best use of these kind of programs. It was organized under ACM student chapter with the supervision of faculty members Er. Perminder Kaur, Er. Simrat Walia, Er. Ishpreet Singh and Er. Ravneet Kaur from Department of Computer Science and engineering. The program got huge response from students. More than 80 students participated in the program.